BeerViking: Do Germans really know where their beer comes from? Do Germans really know where their beer comes from? 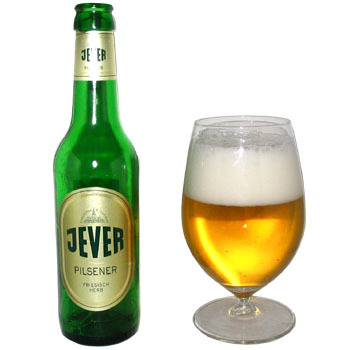 Brewed right up on Germany's North Sea coast in East Frisia, Jever was formerly renowned as one of the country's most bitter Pilsners. That powerful bitterness – now widely believed to have been moderated somewhat, both to save money and to dumb it down a little – was in former days typical of beers right across the north, or so another brewmaster from the Baltic coast once told me. So in a country still wedded to its local beers, what was this pride of the north doing way down south in Frankfurt, where it sat on supermarket shelves between beers from local giant Binding and its regional rival Licher? It was a chance conversation of sorts on the beer-lover's website Untappd that helped me realise why – and in the process to be reminded of the consolidation in the German brewing industry, and how the average drinker probably has no idea who their beer really comes from. What I'd forgotten was that Jever is now owned by Radeberger Gruppe, a brewing combine so big that it counts as a macro-brewer under the definitions used by the US Brewers Association. Radeberger also owns Binding, which of course has the local distribution business sewn up and can easily get a stablemate or two onto the shelves. I'm sure this is great for production volumes up at the Jever brewery, but as Radeberger tries to capitalise on the beer's fame to turn it into a national brand, it also explains why the beer's become less bitter, if its target market is now people who'd otherwise drink frankly quite dull Pilsners such as Binding and Licher. Incidentally, if that doesn't give enough idea of the scale of the hidden consolidation, I'll add that Binding also produces Schöfferhofer Hefeweizen, Clausthaler non-alcoholic beer, and the MAB brands. It's also responsible for BraufactuM, Radeberger's pitch at the craft beer market, which produces some jolly decent but way over-priced hoppy versions of IPA, Brown ale, Kölsch and other less usual beer styles. Looking up the chain, Radeberger is owned by Dr Oetker – yes, the pizza and baking soda combine – while Licher is owned by another German brewing combine, Bitburger. More beer myths that just won't DIE!